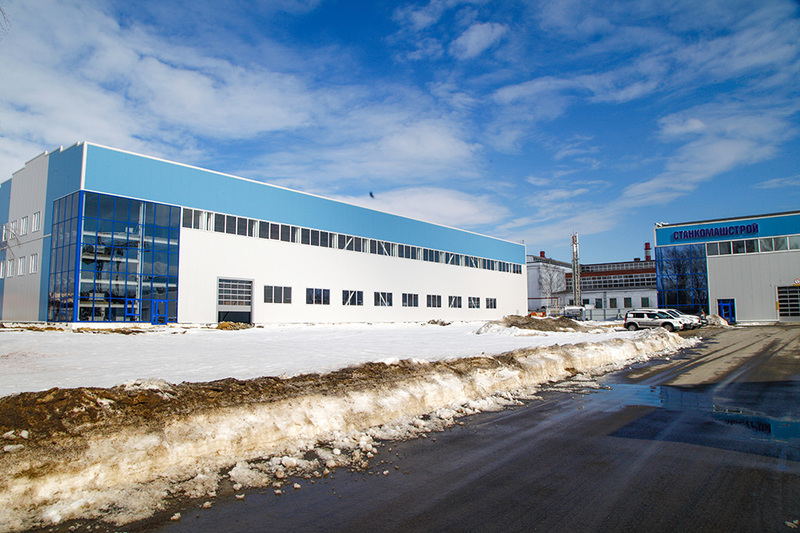 The company "StankoMashStroy" continues active construction work of a new production hall. This is the second stage of the investment project for organizing of metalworking machines full production. The facade of the building has already acquired the features of a modern industrial building; at present, interior decoration is underway. In the office part, installation of the ventilation and heating systems is underway. 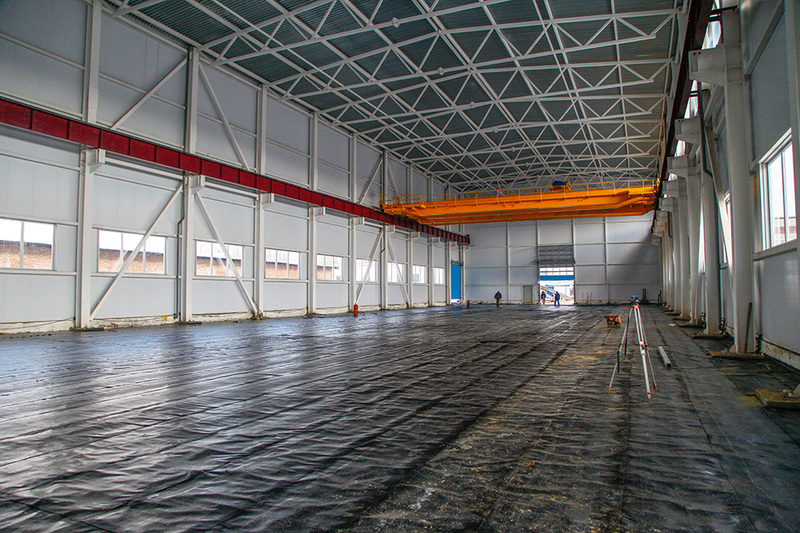 In the production workshop, whose area is about one and a half thousand square meters, they began floor pouring. This is a complex process consisting of several stages. The foundation of the floor is already ready, now the builders are performing waterproofing and after that, they will proceed to the construction of the reinforcement cage. The next step will be the installation of heating and ventilation systems in the production area. Moreover, from April 1, they will begin work on the electrical part of the entire workshop. Construction is carried out strictly on schedule, in compliance with all the technical and technological requirements.